“Time spent on paperwork is time away from patients,” said Seema Verma, administrator of the Centers for Medicare and Medicaid Services. She estimated that the change would save 51 hours of clinic time per doctor per year. Dr. Angus B. Worthing, a rheumatologist, said he understood the administration’s objective. “Doctors did not go to medical school to type on a computer all day,” he said. Private insurers often follow Medicare’s lead, so the proposed change has implications that go far beyond the Medicare program. The proposal, part of Medicare’s physician fee schedule for 2019, is to be published Friday in the Federal Register, with an opportunity for public comment until Sept. 10. The new policies would apply to services provided to Medicare patients starting in January. “Evaluation and management services” are the foundation of an office visit. 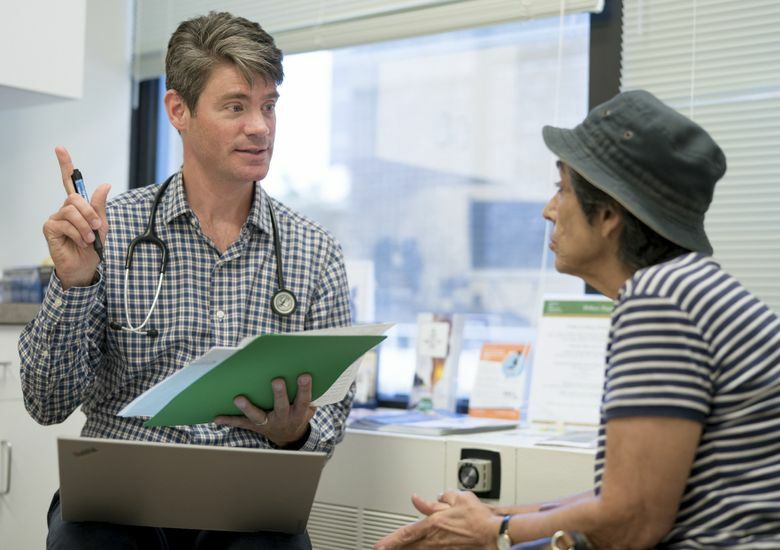 Medicare now recognizes five levels of office visits, with Level 5 involving the most comprehensive medical history and physical examination of a patient, and the most complex decision-making by the doctor. Level 1 is mostly for nonphysician services: for example, a five-minute visit with a nurse to check the blood pressure of a patient recently placed on a new medication. A Level 5 visit could include a thorough hourlong evaluation of a patient with heart failure, chronic obstructive pulmonary disease, high blood pressure and diabetes with blood sugar out of control. “The differences between Levels 2 to 5 are often really difficult to discern and time-consuming to document,” said Dr. Kate Goodrich, Medicare’s chief medical officer. Medicare payment rates for new patients now range from $76 for a Level 2 office visit to $211 for a Level 5 visit. The Trump administration proposal would establish a single new rate of about $135. That could mean gains for doctors who specialize in routine care, but a huge hit for those who deal mainly with complicated patients, such as rheumatologists and oncologists. For established patients, the proposal calls for a payment rate of about $93, in place of current rates ranging from $45 to $148 for the four different levels of office visits. “This proposal is likely to penalize physicians who treat sicker patients, even though they spend more time and effort and more resources managing those patients,” said Deborah J. Grider, who has audited tens of thousands of medical records and written a book on the subject. If the new rules really do simplify their work, doctors say, they will be elated. But, Glasser said, the financial impact of the proposal on eye doctors is not yet clear. Documentation requirements have increased in response to growing concerns about health-care fraud and improper payments that cost Medicare billions of dollars a year. In many cases, federal auditors could not determine whether services were actually provided or were medically necessary. In some cases, they found that doctors had billed Medicare — and patients — for more costly services than they actually performed. In a report required by federal law, officials estimated early this year that 18 percent of Medicare payments for office visits with new patients were incorrect or improper, about three times the error rate for established patients. To prevent fraud and abuse, Medicare officials have repeatedly told doctors to document their claims. “If it is not documented, it has not been done” — that is the principle set forth in Medicare’s billing manual for doctors. The Trump administration is moving away from that policy. “We have proposed to move to a system with minimal documentation requirements for Levels 2 to 5 and one single payment rate,” Goodrich said. Doctors now must provide more documentation for higher levels of care. Under the proposal, “practitioners would only need to meet documentation requirements currently associated with a Level 2 visit.” That would reduce the need for audits to verify the level of office visits. Medicare officials acknowledged that doctors who typically bill at Levels 4 and 5 could see financial losses under the proposal. But they said some of the losses could potentially be offset by “add-on payments” for primary-care doctors and certain other medical specialists. With such adjustments, Medicare officials said, the impact on most doctors would be relatively modest. A table included in the proposed rule indicates that obstetricians and gynecologists would gain the most, while dermatologists, rheumatologists and podiatrists would lose the most.